Richly toned Murano glass beads patterned after the famous artist, Gustav Klimt, provide the focus for this 18 inch necklace. 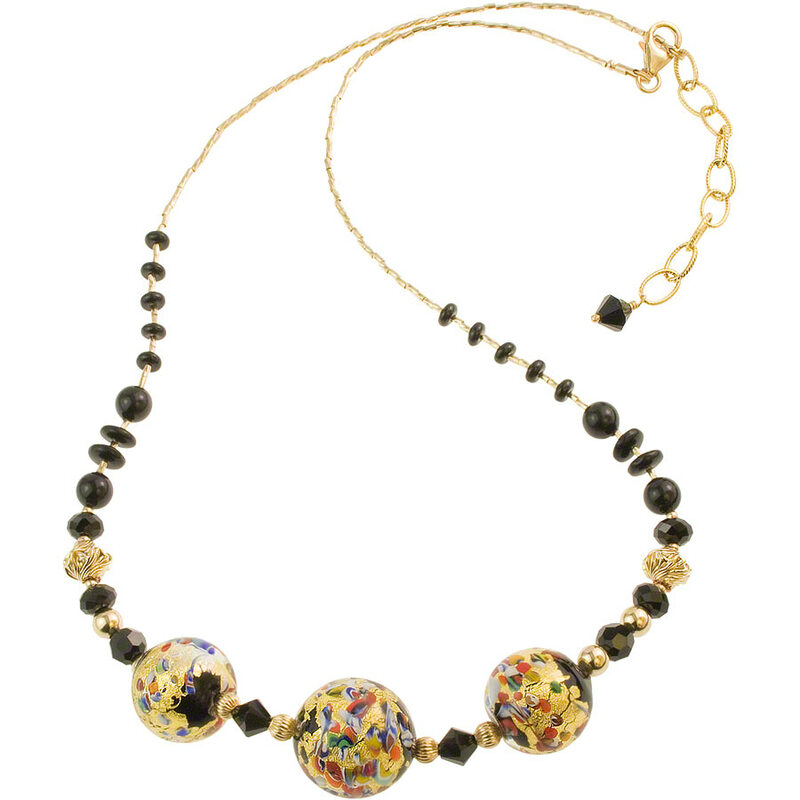 Each Murano glass bead features a black base, covered with 24kt gold foil and accents of millefiori. Gold-filled components and Swarovski crystals add another level of elegance to the necklace. This necklace also features a 2 inch extender, which can be used to increase the length to 20 inches.